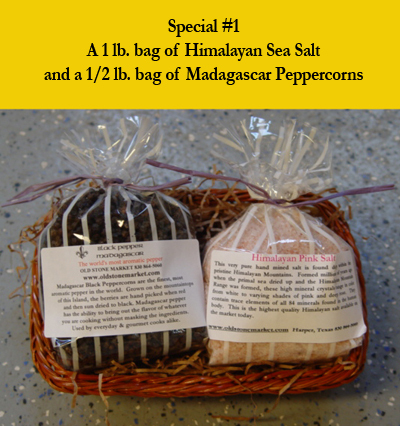 Choose this special to receive 1 pound of of Himalayan Pink Sea Salt, and a 1/2 lb. bag of Madagascar Black Peppercorns! BASKET NOT INCLUDED.